Corporate Cybersecurity: Is your business data secure? Business data was never this vulnerable to threats and that is why its security is essential. Having Cybersecurity in place is now one of the core challenges that businesses face to operate efficiently, involving responsibility to protect the customer data. Cybersecurity demands an organisation to go beyond the basic IT hygiene and stay abreast to risks and hazards that can potentially bring the company’s operation to a halt. The workplaces are going cloud with time. The email communication, professional networking, and financial transactions along with collaborative work documents stay connected all the time. Business may face a catastrophic situation when these communication lines are compromised. There are examples of big companies going vulnerable to such cyber-attacks. For example, the personal of TalkTalk was hacked a few years back. For this, they had to pay a whopping fine of £400,000 for failing to keep the security intact. Even 3Mobile suffered a cyber-attack, exposing the personal information of over 200,000 people. A survey by Cyber Security Breaches Survey reported around 43% of businesses affected by the cybersecurity breaches in past one year. The data breaches lead to corrupting the software, system, and website. What businesses can do is to first get acquainted with the concept of cybersecurity and ways through which the threats pierce in. The most basic one is scammers pretending to be a business and sends fraudulent emails that contain viruses and malware. Such a security breach slid down the businesses in a year that cost them over $3,500, hampering the revenue of small businesses. Businesses, once acquainted with the cybersecurity should look to create cybersecurity procedures in place and adopt a multi-layer security model. Such a model will have internet at one end and the employees at another end. 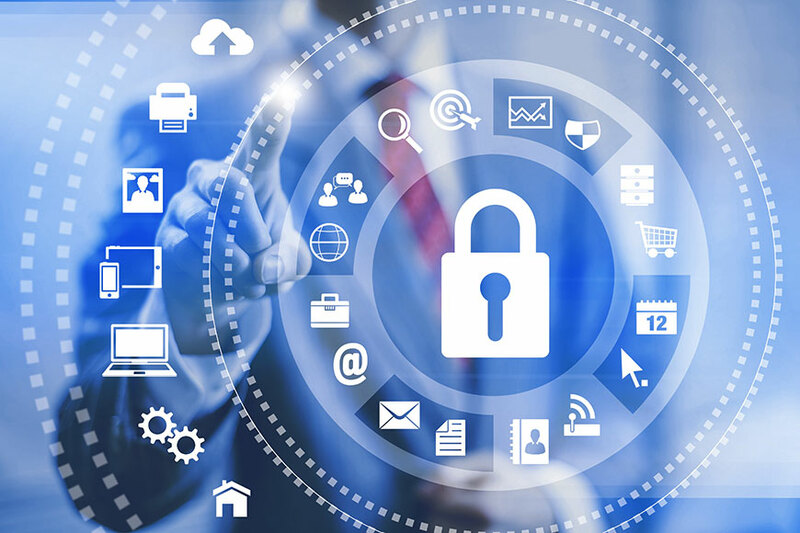 Corporate data security also involves protecting the important information from leaking out of the network. Data leaks not only damage the internal companies’ data but can also breach the individual’s data privacy. The range of business data is dynamic, from the user or client insights to even the employee’s data. Such data may contain the sensitive information that is put to risk if businesses do not remain proactive towards data leaks. Data leaks are painful to business’s reputation as well as it leaves them vulnerable to its proprietary information; including customer lists, trade secrets, and even the pricing strategies. One of the best ways to protect data leaks is to limit the business information that is spread out on public platforms. It is common for people to think of cryptocurrency when talking of Blockchain but in fact, the technology is beyond that. It represents a worldwide database network that sits in the user’s system to securely encrypt sensitive information transferred over the web. With blockchain app development services, corporate can enable BYOD and control the entire Blockchain encrypted data. The best part is that only authorized personnel have certain rights and can control users to grant and revoke a unique identifier. This ensures that data never gets deleted, making a way for fiddle-free audit chain. Prevention is better than the cure they say. Businesses must build secure mobile apps and web environment that ensures safety. The best precaution for any cyber threat is to take professional advice and services over a secured network to negate any possible vulnerability. There are tough choices to make – whether to take up a server or use the cloud. Deciding the language to write their databases will also make a difference, for example, choosing between the likes of MongoDB or Grakn. Again, opting for Cyber Insurance can help to cover the damages that may occur in case of any cyber-attacks. Such insurances offer cover from $100,000 to even $5 million. Such covers can also help businesses to pay off for the specialists who can fix the security glitch and cover the lawsuit expenses if that takes place. Corporate structure will have to make people aware of all the possible cyber hacks. Such a culture ensures prevention from the conception itself. Corporate will certainly have to be on their toes to ensure cybersecurity. The company need to ensure that everyone involved is well informed about the cyber threats and security protocols for data protection. This can happen by conducting employee training, implementing security framework, maintaining data security standards, to ensure minimal breach, at the worst. Security is top priority for all businesses. Especially in today’s time when data threat is such an issue. It is important to have all the necessary security measures to keep your data safe. Previous post: Does a Relationship Exist Between Print and Digital?